David Morey, Chairman and CEO of DMG Global and Vice Chairman of Core Strategy Group, is one of America's leading strategic consultants—and one of the most sought-after speakers, performers, and magicians. For over three decades, he has studied magic and performed around the world, including at President Barack Obama's Inaugural ball. 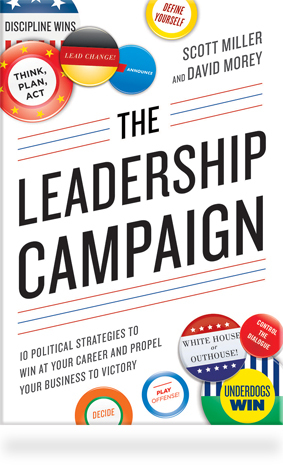 The award-winning coauthor of The Underdog Advantage, The Leadership Campaign, and Creating Business Magic, Amazon's #1 New Release, Morey has advised a who's who of Fortune 500 CEOs, five Nobel Peace Prize winners, and nineteen winning global presidential campaigns. 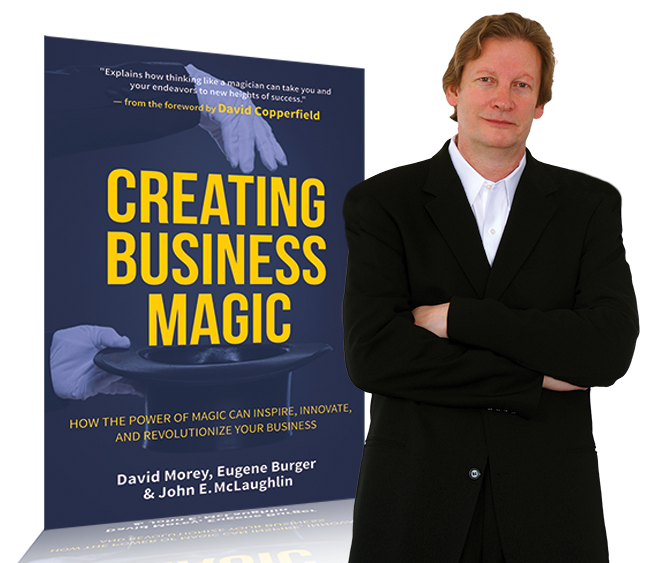 Creating Business Magic, Co-authored by John McLaughlin, former Acting Director of the CIA, and Eugene Burger, one of the world's top close-up magicians, the book is about applying the strategies of magic to help us all think different, think out of the box, play more offense, and lead change.